I thought this deserved its own special post. 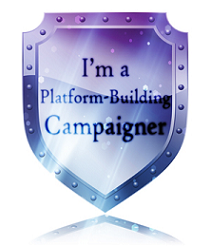 I just signed up for the Platform-Building Campaign (it's a blog chain type deal) that Rachel Harrie hosts. If you want to join in, just click on the picture below to sign up! You've got until the 15th to do so. (I'm in Group 3: YA (All genres), Group 6: Dystopian/Post-Apocalyptic, and Group 8: Science Fiction, btw). Good to meet you. I'm in two of the same groups as you (plus I write some sci-fi, too). Happy Campaigning! Just stopping by to say hi! 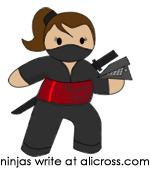 I'm in short stories, Sci-fi, fantasy and YA of Rachael Harrie's Writers' Campaign. I've been a part of Rachael's campaign for a while now. It's amazing how we can network like this and meet some many awesome people. Hi! I'm in the YA group with you. I'm just stopping by to say "hi." Hey, also popping in to say hi! See you around! Hey, Anna! Great to be on your blog! I'm one of the campaign members. I'm excited to get to know you and the others. I love authors. Love writing. Yay! I'm in your YA group too. Just stopping by to say Hello and look forward getting to know you better. Nice to see you aboard the campaign! Hi there! I'm new to the campaign this time around! Good to meet you!